We're off the beaten track, bumping along a pothole-filled road, deep in to the wilderness of Rajasthan. 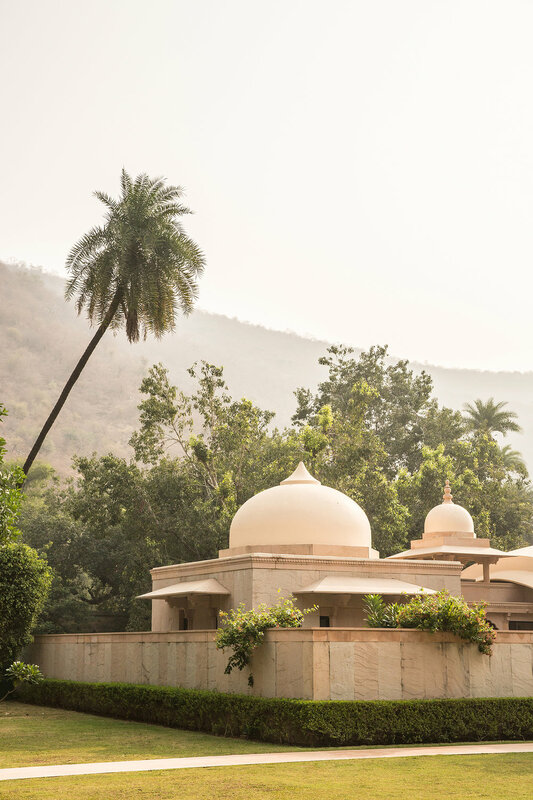 Miles away from anywhere, a pink palace emerges surrounded by the Aravalli hills (said to be some 600 million years old). 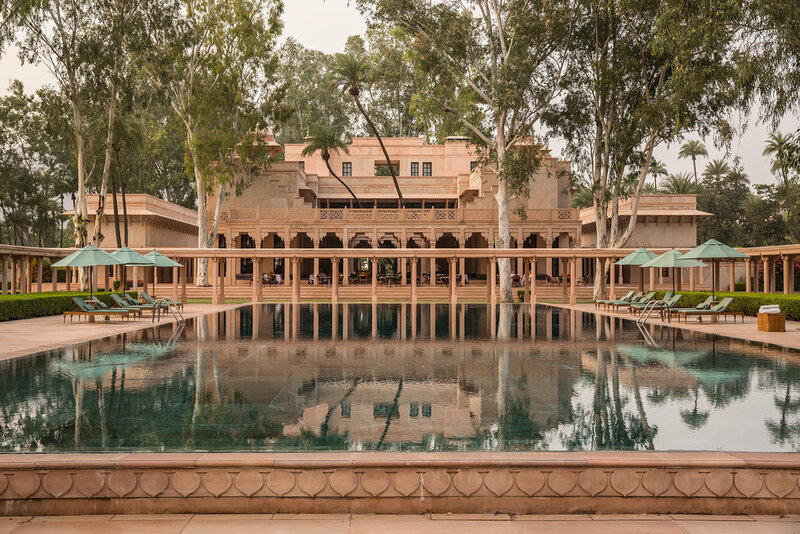 Carved from local pink marble and sandstone, this Mughal-inspired palace is an oasis in the countryside, 2 hours drive east of Jaipur. 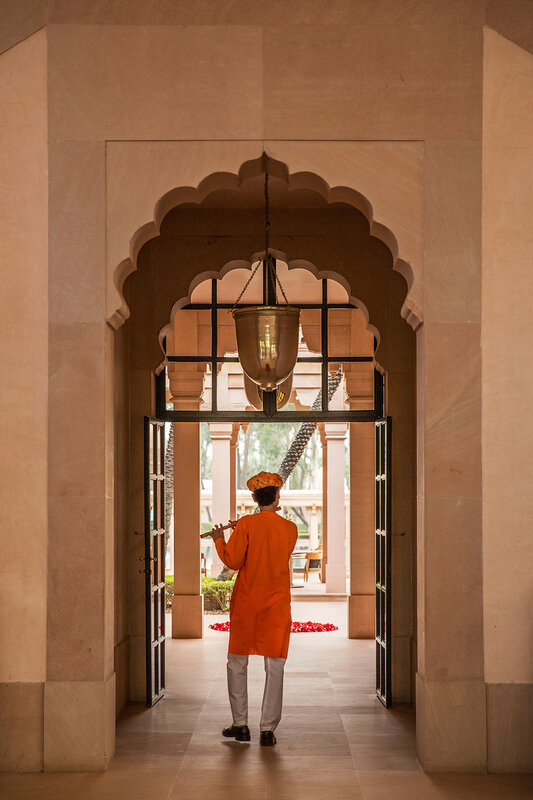 Alighting from our plush Aman transfer, we're greeted with flowers and a welcome ceremony. It's humbling and we instantly feel at home. Gazing over the grounds we're met with views of a glimmering lap pool, surrounded by a compound of villas and lush landscape. Perfectly manicured lawns are dotted with Eucalyptus trees and vibrant flowers and we could easily spend our days lounging in the garden, under dappled light spotting monkeys. 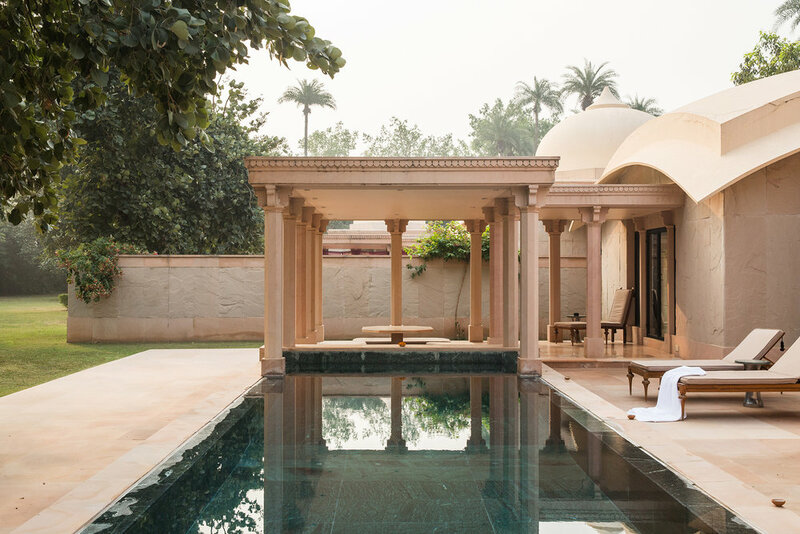 Our haveli suite is equally as peaceful and opens on to a private courtyard with a plunge pool framed by overflowing blooms. 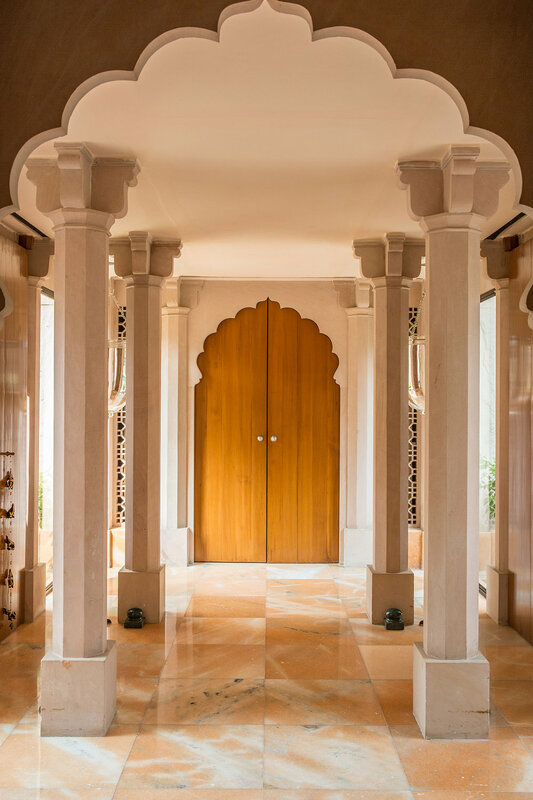 The bathroom is dominated by a jade-green bath carved from a single piece of Udaipur marble and we acclimatise to palace life quickly. It's tempting to switch off and relax, or book in for a spa treatment, however we've scheduled a mysterious "Cow Dusting Experience" which claims to be a guest favourite. 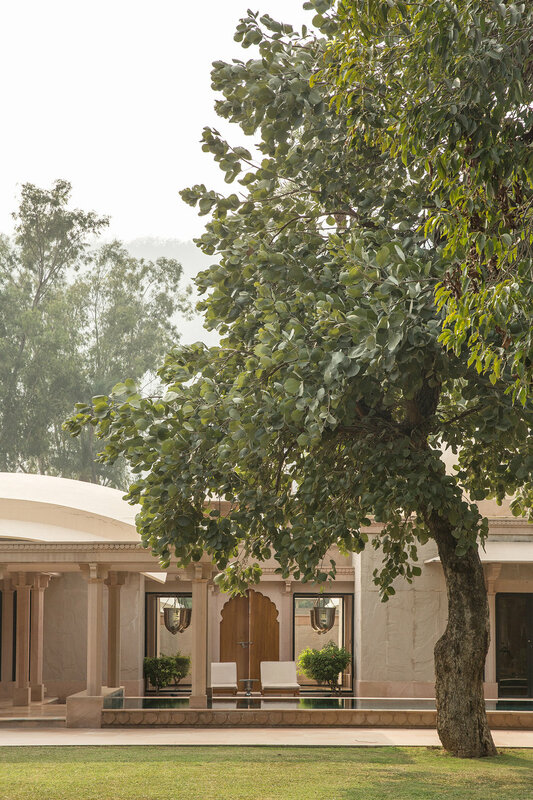 Most of Amanbagh's 200 staff are from the remote surrounding villages and have been with the property since opening in 2005. They have a deep knowledge and love for the region and we get unbelievable insight in to their way of life. Setting off in an open air jeep, our guide takes us through nearby local villages for a soul-changing experience. Cow's sit proudly in doorways, invitations in to homes for chai tea come in abundance, whilst children chase our jeep down the road bursting with smiles. It takes only a few minutes to drive through a bustling village before venturing out in to quiet farmland where goat herders walk along the road carefree and happy as the sun sets. 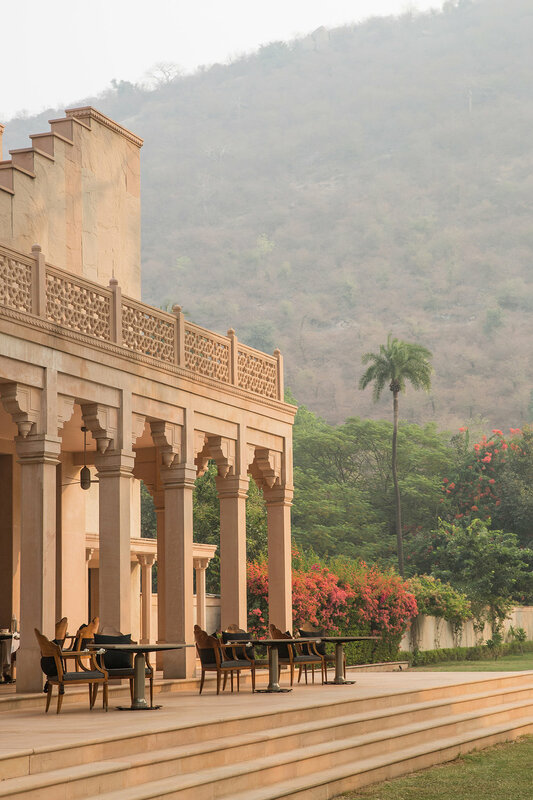 Dining at Amanbagh is outstanding and thankfully so given the remote location. Breakfast is taken on the terrace where yoghurt, fruit and pastries are served elegantly alongside a menu of both eastern and western favourites. Dinner is where the food really excels, with the chef showcasing incredible Indian flavours with delicate curries, crisp roti gleaming with butter and pickles and condiments that explode on the palate. Whether you opt to eat at the restaurant or book in for a romantic, private dining experience on property grounds, the attention to detail and service is fabulous. 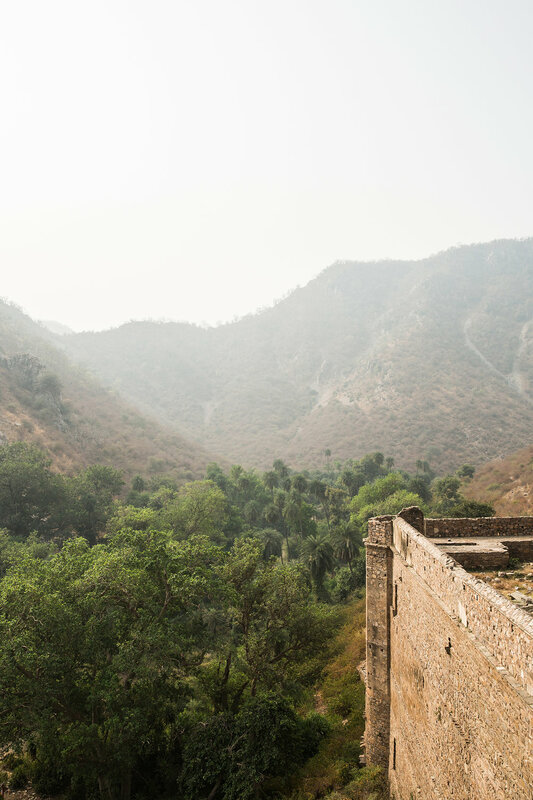 Our last day saw us take a tour of nearby abandoned fort Bhangarh, a medieval site that sees very few tourists and was deserted in the 1600's. Legend has it that the site was cursed by an evil magician who pined for the virtuous Queen of Bhangarh who lived there. Locals rarely visit and warn against a tour after dark. Exploring the ruins is positively eerie and jaw-droppingly beautiful and it is a privilege to wander through a site without seeing another soul, however cursed it may be. Back at Amanbagh, there's no sign of black magic. 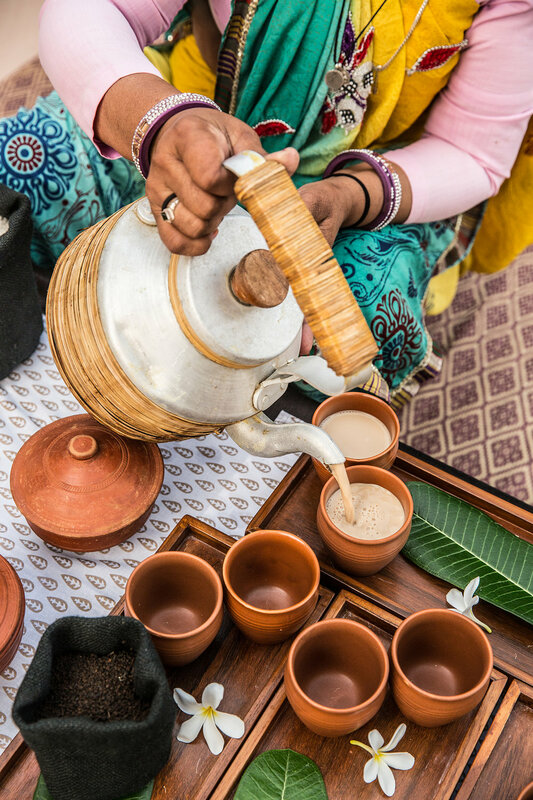 Chai tea is being brewed poolside, there's a distance hum of a flute being played and birds fly between the trees. Spellbinding. ROOMS: There are 40 suites in total. ROOM PICK: Any, but we love the suites that give garden access. MINI BAR: There's a small selection of cookies and nuts and water available. Alcohol charged on consumption. RESTAURANT/BAR: Breakfast is included in your rate. The restaurant is open and on call for room service throughout the day. RATES: Starting at $990 AUD. POOL/GYM/SPA: There's a full service pool, gym and spa on site. TURN DOWN SERVICE: Yes, with water and a gift from the locals. LOCATION: Rural Rajasthan, 2 hours drive from Jaipur. The resort can arrange a transfer at your expense. The writer stayed courtesy of Aman.